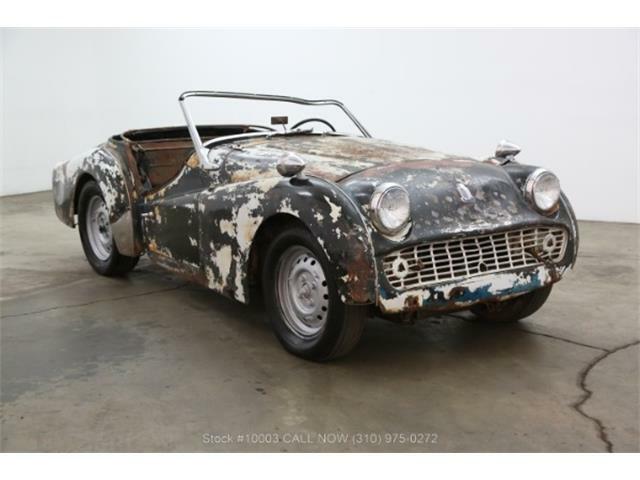 A Triumph TR3 was the first sports car in which I ever rode, and the most indelible memory is how the car was so low and the doors cut away so much that I could easily reach down and touch the pavement. 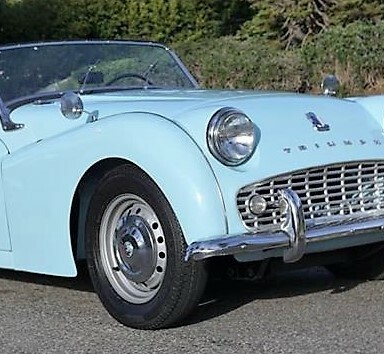 Well, that memory and the one about the lovely driver, a friend of my mom’s named Brenda, was such that my 12-year-old brain was pretty much overwhelmed by the entire experience of riding along the New Jersey shoreline with a gorgeous blonde in a British sports car. 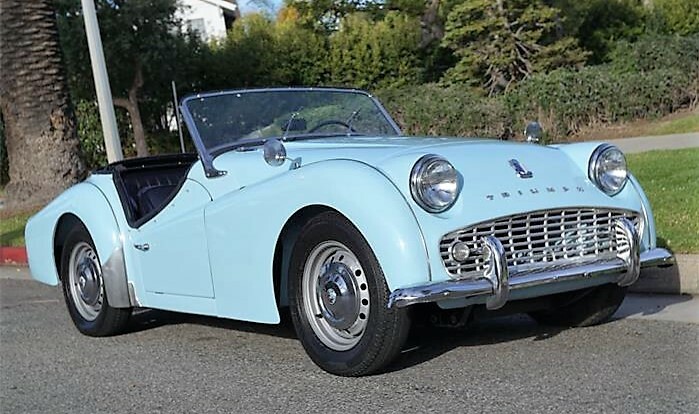 So naturally, the Pick of the Day holds a special place in my heart: a 1961 Triumph TR3A roadster painted Sky Blue and described by the seller as a rust-free original in superb restored condition. 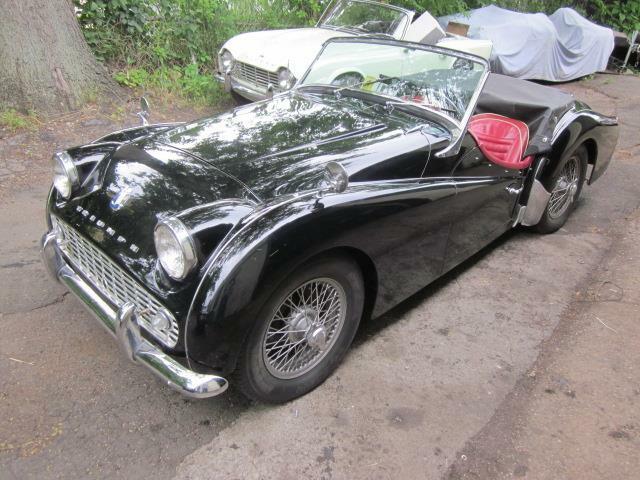 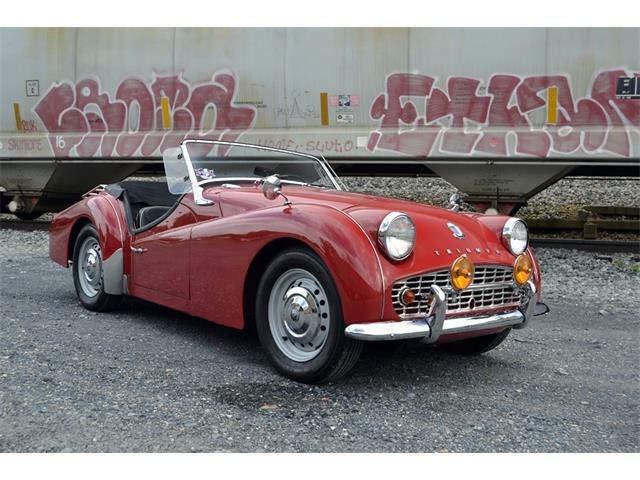 The TR3 was highly popular in its day, and a number of my friends drove used ones throughout the ’60s and ’70s. 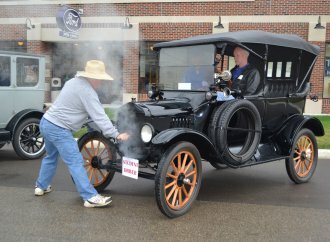 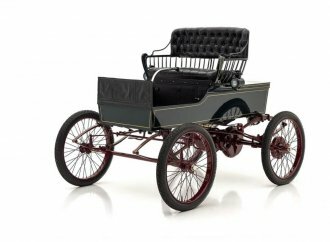 With its lusty 2.0-liter tractor engine (really) and buckboard suspension, the Triumph was totally down to earth and all about having fun. 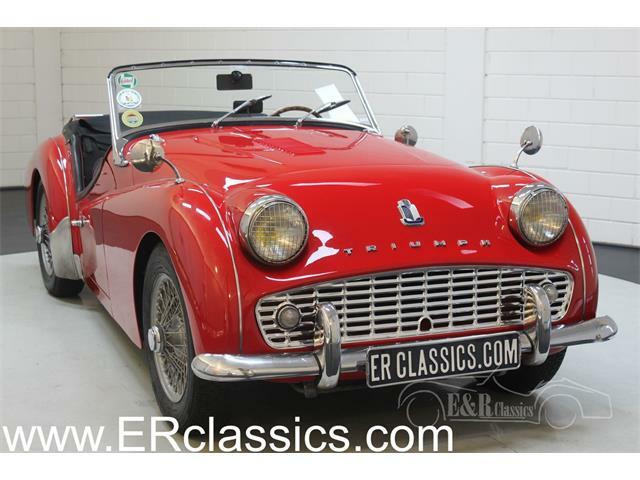 The TR3 also reigned as a most-traditional example of British sports-car motoring, and is considered by many purists as the last of the true British roadsters. 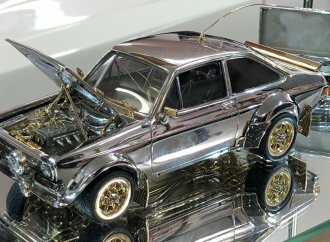 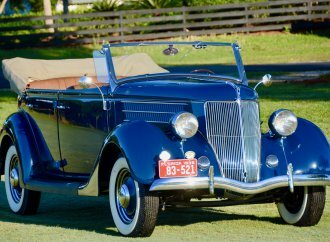 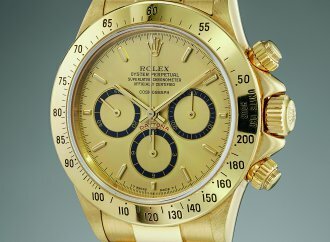 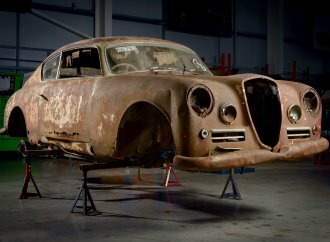 That they have remained desirable collector cars is no surprise. 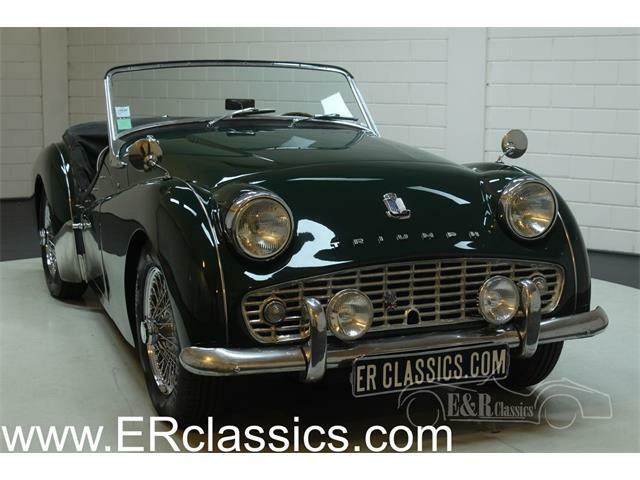 This 1961 TR3A was one of the final versions of the model, and it was sold alongside its replacement, the more-civilized TR4 designed by the great Giovanni Michelotti. 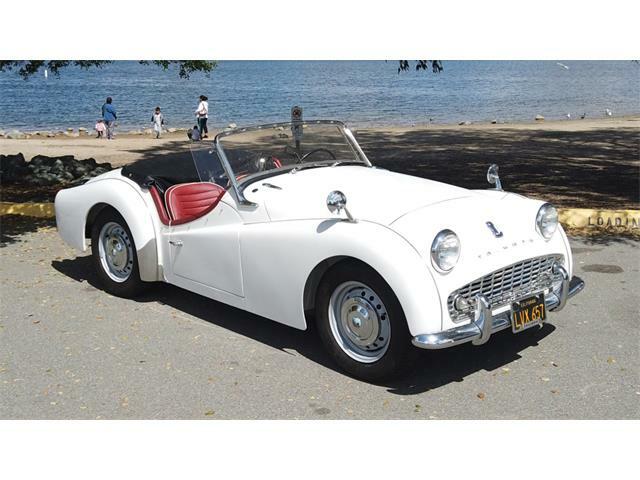 As a last hurrah for the TR3, the sports car received a number of refinements, including improved seats and other interior upgrades. 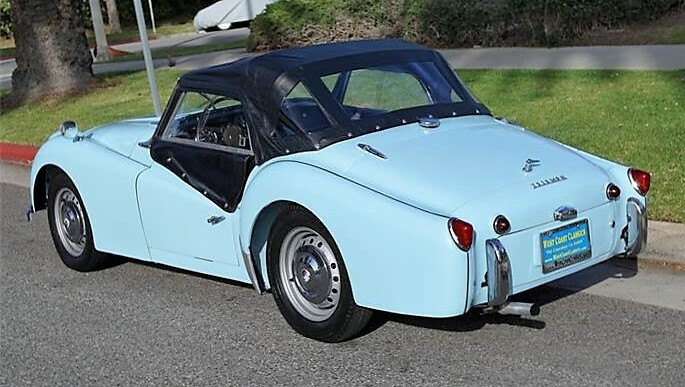 “The ‘Sky Blue’ color paint is in simply stunning condition and the interior is also quite extraordinary with black seats and matching door panels, a lovely original steering wheel and original Jaeger gauges,” the seller, a classic car dealer located in Santa Monica, California, says in the ClassicCars.com listing. 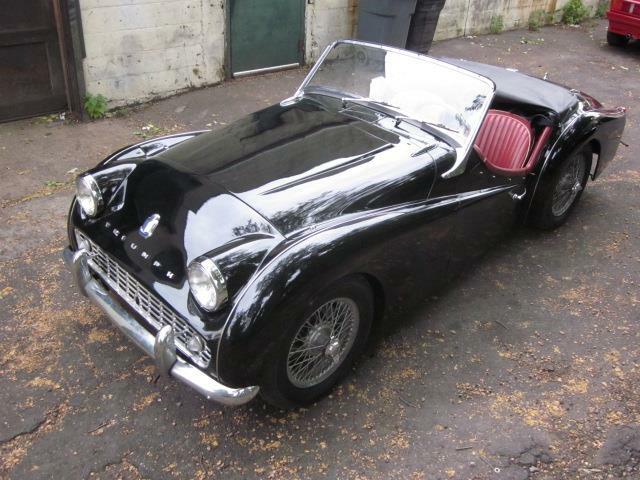 “The black-color soft top is new and the car has its original side curtains, original disc wheels and its original spare wheel with leather strap in its storage compartment. 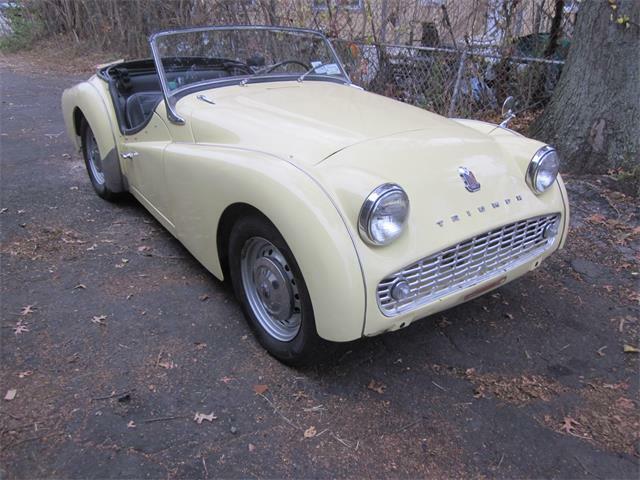 “The 1,991 cc engine purrs quietly under the hood and the 4 speed manual transmission shifts smoothly through the gears – an absolute pleasure to drive,” the seller adds. 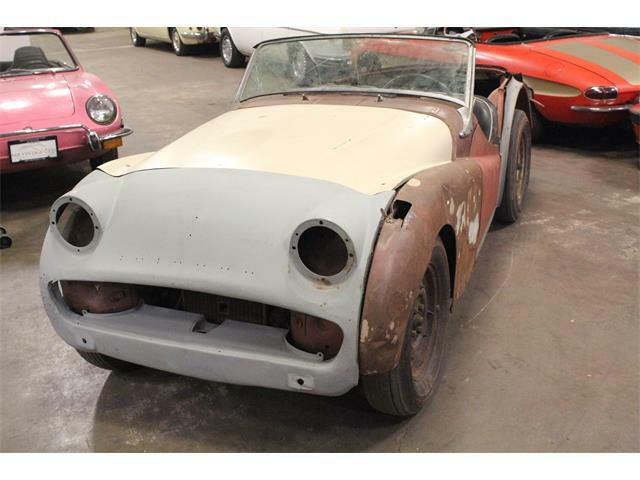 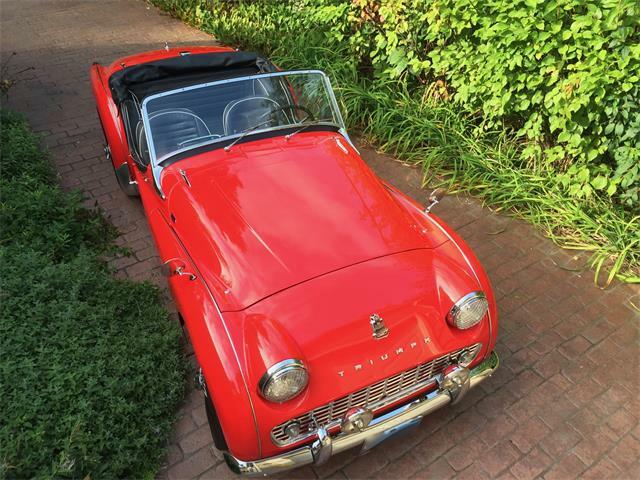 The extensive photo gallery shows that the Triumph is apparently in fine condition, which makes it moderately priced at $37,500 – the Hagerty price guide has this car at $39,000 in good condition and $54,500 in concours condition.